Kitchens need light. The best thing is that with the advances of LED lighting, you can have bright light, the colour you want all with minimum power consumption. In this case, as in most, we had to lift the carpet and floorboards above where the lights were to be fitted. Then careful measuring to ensure the lights looked correct below and were able to fit between the floorboards and ceiling. 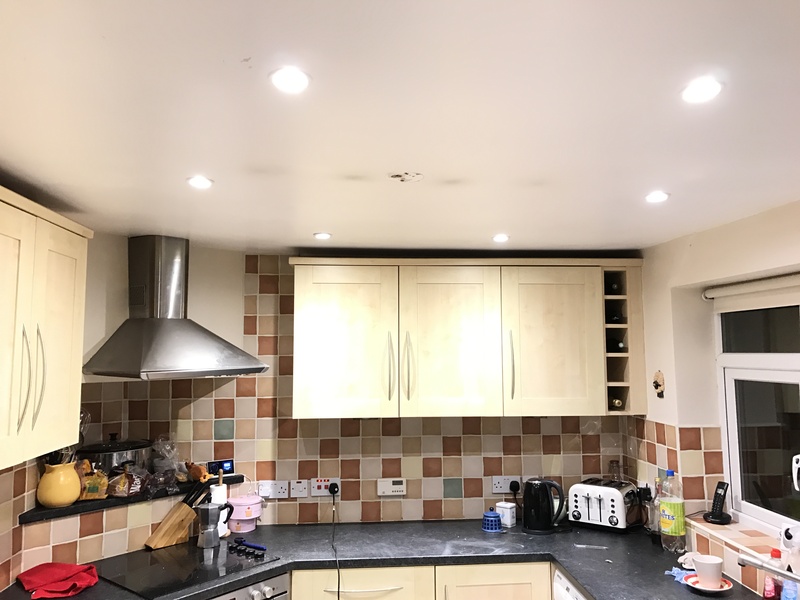 We installed fire rated lighting lamp holders and installed bright warm LED lamps. All were able to be installed with the original switching system. The hole with the original light fitting was left to be filled, sanded and painted by the decorator. 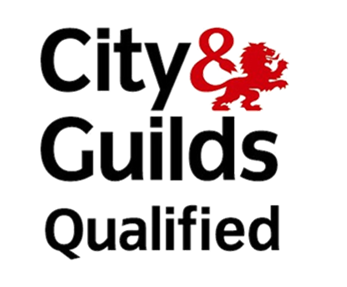 Plugged In Electricians' work is compliant to the latest rules and safety standards. Plugged In Electricians' work is regulated by NICEIC Competent Person Scheme. Plugged In Electricians' work is signed off by qualified electricians.